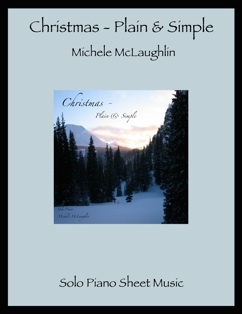 This is the companion songbook to Michele McLaughlin’s 2006 CD Christmas - Plain & Simple. It includes all fifteen songs from the CD, which features ten traditional Christmas songs and five originals, accurately and beautifully transcribed by Rebecca Oswald. The songs are playable by intermediate through advanced players, and the arrangements are full and fun to play. Oswald’s transcriptions are always clear, clean, and spacious so that they are easy to read and look relatively simple. 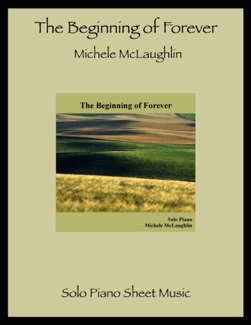 I love McLaughlin’s CD, which makes this collection even more fun to play. Most collections have at least a few songs that either don’t work very well or just aren’t appealing, but all fifteen of these songs are keepers. Sure to be a favorite sheet music collection for many years - and the original pieces can be played all year without raising anyone’s eyebrows! I highly recommend this book. 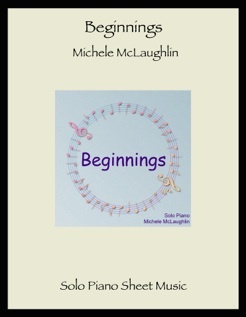 It is available at michelemclaughlin.com. The contents of the book are listed below in the same order that the songs appear on the CD. 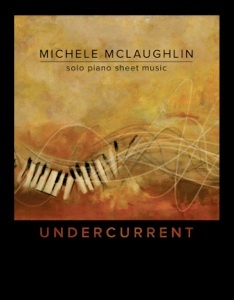 I’ve included a difficulty ranking with 1 being the easiest of McLaughlin’s pieces and 5 the most advanced. I have also indicated what key the pieces are in and how many sharps or flats there are in the key signatures.